Imagine Plaintiff John Doe has sued your company in, of all places, Nebraska. After consulting Google and confirming Nebraska does, in fact, have more cattle than people (6.6 million cattle to 1.8 million residents), you realize your company and have done little business in the State of Nebraska and has had limited contact with the state or its residents. So are you required to defend yourself in a Nebraska court? Luckily, the Fourteenth Amendment of the U.S. Constitution prevents out-of-state companies from being pulled into courts in another state if doing so would “offend traditional notions of fair play and substantial justice.” This legal doctrine is known as “personal jurisdiction.” If the court does not have personal jurisdiction over your company, Doe’s lawsuit will be dismissed and Doe will have to sue your company in a court that does have jurisdiction (typically, where you are incorporated or headquartered). To figure out whether the Court can hear the case and bind your company to its ruling, the court has to decide whether there are sufficient “minimum contacts” between your company and the State of Nebraska. If this “minimum contacts” test is satisfied, the court can exercise personal jurisdiction over your company without offending Due Process. 1. Does your company own real estate in Nebraska? 2. Does your company have a bank account in Nebraska? 3. Does your company have an office in Nebraska? 4. 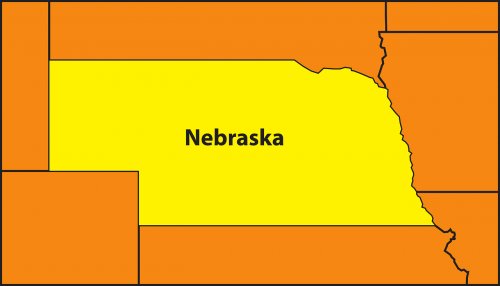 Does your company have employees working or residing in Nebraska? 5. Does your company advertise in Nebraska? 6. Does your company do any work in Nebraska? 7. Does your company have customers in the state of Nebraska? 8. Does your company receive revenue from the State of Nebraska or its residents? 9. Does your company pay taxes in the State of Nebraska? If the answer to one or more of those questions is in the affirmative, the court may determine your company has purposefully availed itself of the benefits and protections of doing business in the State of Nebraska. The law holds that if your company receives some benefits from the State of Nebraska, it should in fairness take on some of the risks of doing business here (for instance, being sued in a Nebraska court). Even if there are some minimal contacts, the court must determine whether the claims in the lawsuit and those contacts are related. For example, did the slip and fall lawsuit occur on the company’s property in Nebraska? If so, there is personal jurisdiction; but if it occurred on property owned in Iowa, the answer will be no. Alternatively, is the lawsuit related to the contract you signed with a Nebraska customer? If so, and if the contract is being performed in whole or in part in Nebraska, there may be personal jurisdiction. However, if, the contract with the Nebraska resident signed is for goods and services in Florida, personal jurisdiction in Nebraska will not exist. As you can tell, the issue of personal jurisdiction can be complex depending on the scope and nature of your company’s contacts with Nebraska. Other legal issues, including lawsuits involving intentional acts, internet advertising, service in this state, as well as intentional and unintentional waiver of personal jurisdiction, heighten the complexity. Navigating these issues can be difficult. Having experienced Nebraska counsel can guide and protect your company through this process.